Your child is given to you by your creator to train and mold so as to adopt an acceptable social behavior that would make him or her fit into society. Failing to correct these negative behaviors of your kid would go a long way to affect the future prospect of the child. Below is the 4 deadly mistakes most parent make when raising their kids. Do you know your child’s behavior is best corrected at early stage between ages 3-6 years when the child is growing up? Kids pick all kinds of behaviors when growing up and this stage is the right time to start correcting bad and deviant behavior of your child. My 3rd child, Nat started this bullying behavior at age 4 towards the younger sister, Judith. He kicks and hits the sister with no tangible reason. It took the intervention of my wife and I to counsel and encourage him to put away this negative behavior if he wants to be great in the future. We did that correction in love while motivating him and assuring him that he has the will to do the right thing. Yes he did. So you kid can also put up the right behavior. Nathaniel is now calm. Nathaniel is now kind to the sister and other children in the neighborhood. Don’t leave discipline to the school because of the love you have for your kid but assist him or her to pick up the right behavior from the onset. When you succeed in doing this, your child would be proud of you as a parent when he or she grows up. There is a common saying that “behavior once formed is difficult to correct or change” Our kids imitate all types of negative behaviors from friends in the school including insult and dis-respectfulness towards others. You should be apt to correct your kid if he or she demonstrates rude behaviors towards his or her siblings including other visitors or friends. The first impression your visitor will get is how your kids behave when they first enter your home. Don’t look on when he or she persistently display such negative behavior. If you didn’t take quick action to correct him or her, you would be encouraging your kid to continue with the negative behavior. And the end result is that you would be disgraced or embarrassed when your child grows up with this deviant behavior and join the bigger society. Theft is a common negative behavior among kids but this behavior should not be swept under the carpet but rather must be addressed promptly before it matures with them. My first son, Edwin is the type who always wants to take money to buy toy guns without informing us the parent. I discussed the negative behavior with my wife but she didn’t take it serious and concluded he would stop. It was not long when he started picking any idle money from the mother’s bag. This time round, the mother became alarmed. It took constant talking and counseling to get him out of this bad habit. No habit of thievery should be entertained on the altar of love for the child. I witnessed a court proceeding where a judge sentenced a 21 year old university graduate to 10 years imprisonment with hard labor for being involved in armed robbery. But, before the police could whisk him away, he asked permission to speak to the mother, for the last time. When the mother got near to hear what he had to say to her, he bit off the right ear for not correcting him all these years, but always jumping to his defense. Kids must be allowed to interact with the environment. 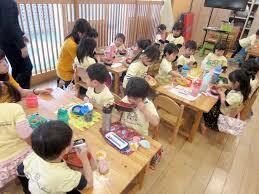 There is no contrary opinion to that effect especially from the child development psychological point of view. However, after a child has finished playing with the objects he or she used, you should encouraged them to pack them to wherever they pick them from. If after teaching them to organize things orderly or properly but they persistently failed to adhere to your instructions but continue to scatter things around, you must quickly help them to adopt the right attitude of putting things in the right place in an orderly manner. Don’t jump to their defense and assumed that they are young and would pick up the right behavior when they grow up. Indeed. change must start when the child learns how to speak. When your kid picks the right behavior during their infancy, he or she will grow up becoming a well organized person. # Assist your kid to adopt the right behavior from childhood.